Ancient Andean textiles reflect important concepts in the Inka language, Quechua. This language is still spoken by millions of people in Perú and Bolivia, therefore these ideas also inform modern Andean textiles. Here ancient Andean cloth is grouped into five conceptual categories: qumpi, ayni, tinku, ukhu, and q'iwa. These Quechua ideas inform us as to the creativity of ancient Andean weavers, who not only excelled in technique and design, but expressed deeply held beliefs in thread and dye. Most ancient Andean textiles express more than one of these concepts, if not all of them at some level or another. Qumpi is the word for the most impressive or finest cloth, the best possible weaving. All of the ancient Andean textiles in “Threads of Time” fit into the category of qumpi in one way or another (see The Best of the Best). First, qumpi is skillfully made cloth and since all cloth was handmade, one of the best measures of quality is how many threads were packed into a given unit of material. The best Inka women weavers fit more than 300 threads per inch in the ruler’s tapestry tunics. Qumpi is ideally very soft, made from the best materials, such as the naturally superior local cotton (Gossypium barbadense, now called Egyptian cotton as it was exported to the Mediterranean after the Spanish invasions). The silkiest camel fur also was used, from the domesticated alpaca or the rarer wild vicuña. Camelid fiber dyes very well, due to its many scales which allow colorants to be absorbed. Qumpi is also measured by its many sumptuous colors, all made from plants and even some animals found in the various eco-zones. The highest prestige colors were blue, arduously extracted from indigo (Indigofera suffruticosa) leaves, and red from cochineal beetles. The skill of the ancient dyers can still be seen in the remarkably bright and lasting hues they achieved. Textiles were often buried in the coastal desert sands, which helped preserved these brilliant colors for centuries. Some fine cloth is covered with the rarest and most exotic media possible, materials difficult to attain, which adds to their prestige. Feathers are a category within qumpi; this exotic and naturally colorful medium was worn by only the most elite people in ancient times. A final example of exotic materials was a royal Inka mantle, described by Pedro Pizarro, brother of the Spanish conqueror, as being woven entirely of bat hair thread. Second, ayni means reciprocity or interlocking. Perhaps the most fundamental Andean concept of the world is that it is “relational,” in other words, everything is defined in relation to something else, its complement, its pair. 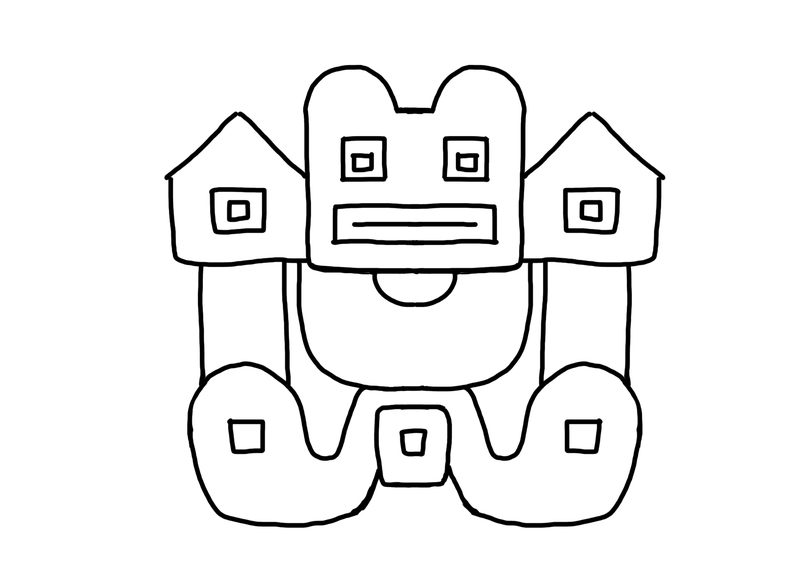 The Inka word ayni expresses the most elemental of relationships, the back and forth, the dual, reciprocal, and balanced. Survival itself depends on people helping one another in the Andes, where the vertical environment situates them in places where only certain crops grow. Therefore, inhabitants trade different products up and down the mountains, giving corn for potatoes, salt for llama meat, etc. According to ayni, people also help each other with building projects or cleaning canals in reciprocal work relationships. Furthermore, ayni means two things considered together, interdependent, even interwoven, which easily applies to the fiber arts. The initial making of strong, straight thread involves spinning fluffy fiber from cotton plants or fur, first in one direction then plying it (twisting two single threads) in the other. The two threads are truly interlocked and both directions of spin complement each other. The two thread types in weaving, the warp and the weft, are another ayni pair, one going vertically and the other horizontally. Not only materials and techniques involve ayni, but many Andean textile patterns reflect it. The same motif, such as a bird or a snake, may be interlocked with another, as in a lacey white headcloth. Like the yin-yang symbol, the shape of the motif fits with itself when rotated around a central point. Andean garments, ancient and modern ones alike, are often made of two panels of cloth made separately and sewn together into a tunic or shawl. They then also reflect the ideal of two interlocking parts worn on the body. Ayni pervades the textile arts that have stood at the center of the Andean worldview and aesthetic system for millennia. Third, tinku means the convergence of two things to make a third. The term tinku is used today in the Andes to describe paths and streams that converge, places of particular importance in such a difficult environment. A new third entity results from the combination, such as two streams that make a larger river. Thus, tinku creates newness and, indeed, a basic definition of creativity is the recombination of existing elements into something novel. In textiles, tinku can be seen in materials, designs, and subject matter alike. In terms of materials, the best example of recombination is featherwork in which beautifully colorful tropical bird plumage is gathered from the rainforest east of the Andes mountains. Traded across the highlands, these exotic feathers are sewn in rows onto cotton cloth made on the coast well to the west of the peaks. The huge expenditure of effort, time, and motivation to recombine materials is obvious. For this reason, among others, featherwork was considered the highest art form, the epitome of qumpi or precious cloth. In the design of garments, tinku is embodied in the common artistic choice to sew together different panels. Andean weavers still pride themselves on weaving completely finished cloth—in technical terms, cloth with four selvages or complete edges—that do not require any cutting to form clothing. Making parts that are clearly separate cloths but then uniting them into a complex composition embodies the concept of tinku. Tinku also occurs in subject matter, such as monkeys that live in the rainforest being woven into a cloth made far away on the desert coast. Fourth, ukhu means something hidden or inside, but also revealed or glimpsed. What has “gone inside,” lies below, or is inaccessible in the spirit realm is considered to powerfully affect the world that is visible and present. This hidden level can be as large as the underworld, called Ukhu Pacha (Inner Time/Space), or as small as an artwork finished on the inside, which will never be seen. In the fiber figure of a woman, the figure’s legs and feet, even her diminutive toes, are wrapped in thread under her outfit even though they never show. However, to be fully hidden is not enough: there must also be the revelation of what is almost invisible. In other words, to know that something is hidden suggests the potential for revelation. Ukhu governs the textile arts at many levels. In techniques such as tapestry, the over-under movement of the horizontal threads (the weft) completely covers the vertical (warp) threads, making them invisible. Yet the warps reveal themselves as ridges where the wefts continuously pass over them. Weavers understand ukhu through their body movements; the threads come and go, appearing and disappearing from view as the weavers work. Cloth also inevitably has two faces: the front side that is visible and the back side that is against the wearer’s body. In a bright red piece, the weaver consciously placed many red tassels emerging from the front face to almost entirely cover a pattern of little figures. Another deeply Andean ukhu-inspired practice is to wrap precious items in cloth, to protect them but also render them invisible. Several metal pieces retain remains of their wrapping cloths (human bodies, the living and the dead, were likewise wrapped in layers of cloth to protect, elevate, and obscure their inner form. Mummification was first practiced in the Andes, in fact, hundreds of years before the Egyptians). Fifth and finally, q’iwa is the surprising design irregularity that intentionally interrupts predictable patterns. While many of the Quechua concepts embodied in ancient Andean textiles concern balance and harmony, this important one means just the opposite. Q’iwa stands for something that is purposefully irregular, off, and discordant. The term is based in traditional music; modern Andean flutists in particular often start a song with a note that is intentionally disharmonious. Music and art have many properties in common: both can elicit feelings in viewers without using words or even specific imagery and both have abstract qualities. Andean textiles can be looked at in terms of their color patterns to see if they are regular or irregular. A viewer may see the q’iwa pattern-breaker easily or may have to study a piece more carefully to see various types of irregularity that challenge the regular repetition of colors and shapes. Whether obvious or subtle, these anomalies were introduced intentionally; a weaver takes so much time to make each section that a color mistake would be recognized immediately and could be removed, albeit painstakingly. Furthermore, when deviations in color and shape appear they are not hidden, but celebrated. This idea of creative disruption is clearly an Andean cultural as well as artistic value. Why these surprising deviations were considered valuable elements, necessary “off” notes, is a philosophical matter that reflects upon the long-held indigenous Andean worldview. Cosmic, social, and artistic orderliness may be an ideal, yet its disruption is a fact of life, especially in the unpredictable environment of the erupting volcanoes, droughts, El Niños, frosts, and so on that characterize the mountains and coast of this challenging area. Andeans must embrace the disorder to survive, one could argue. Thus, this idea of balance between the ideal and the real—also another type of ayni or reciprocity—appears in art that includes both order and chaos. "The Best of the Best: Qumpi (Highest-Status Textiles) in Ancient Andean Thought and Practice" by Rebecca R. Stone, Ph.D.